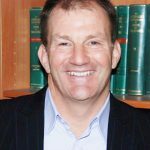 James is the founder of eCollect and has operated businesses since his late teens including windsurfer hire (1977 – 1981), yacht charter (1990 – 2001), motor accident repairs (1984 – 1989); legal firms (intermittently from 1986 to present). James holds a B.A. and LL.B. from Monash University and was admitted as a lawyer in 1983. There isn’t much that James has not seen in his legal and business career. He has broad experience in most areas of law and is additionally the CEO and Legal Director of E C Legal, the legal firm owned by eCollect.com.au. James is married and has two sons. Away from work, James reckons he is a handy squash player and tries to keep fit with yoga and gym sessions. He enjoys outdoor activities including watersports of all types – surfing and sailing classic wooden yachts being the favourites.